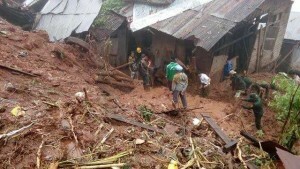 MYANMAR (MNN/VBB) — Eight days ago, heavy rains came as another blow to the village of Mawchi in Kayah State, Myanmar. Already dealing with the country’s worst floods in 100 years, which struck from late July to August, the deluge caused a river to flood a bridge, wash out roads, and slow down emergency personnel dealing with deadly landslides in the area. Local authorities are relocating those living in disaster-hit areas to relief camps.